Do you find precuts, such as layer cakes and 6" strips, almost irresistible? I sure do! But I never know what to make with them! 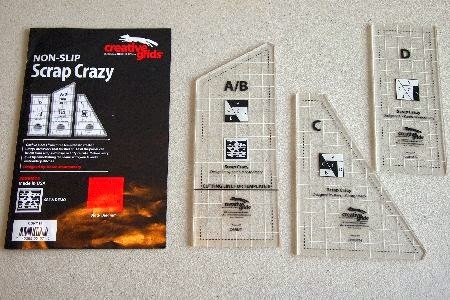 The Scrap Crazy template set comes in to sizes. The larger size makes an 8" block, and the smaller makes a 6" block. 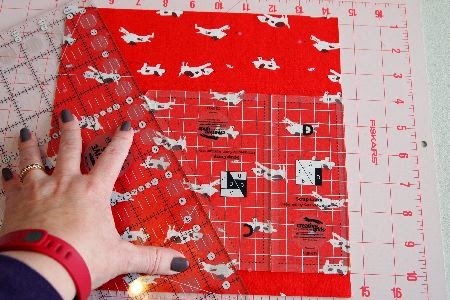 I'm using the larger size to make a super-fast baby quilt. 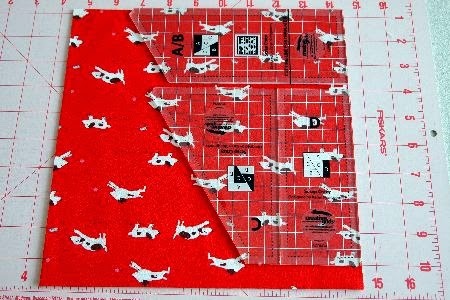 I'm using twenty 10" squares, cutting five layers at a time. 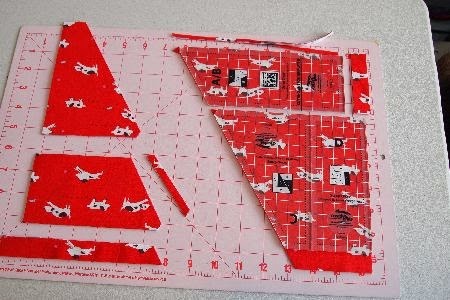 The templates come with excellent instructions, so I'll just give you a quick overview of the cutting. 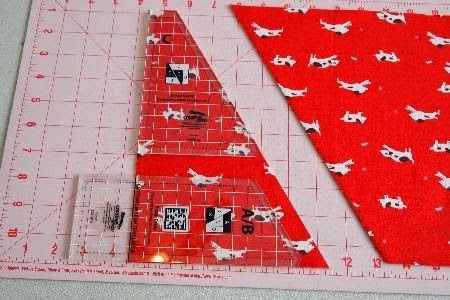 The first cut is on the diagonal, to establish the angled line. Then cut one "C" template and one "B" template. 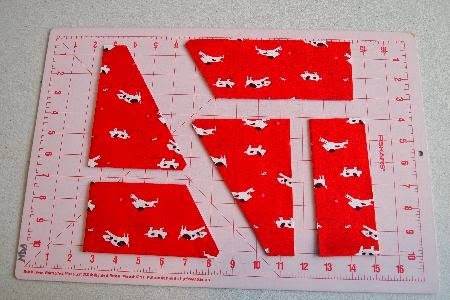 Next, cut another "C" template, one "D" template and one "A" template. As you can see, there is very little waste with a 10" square. Here are my five pieces. 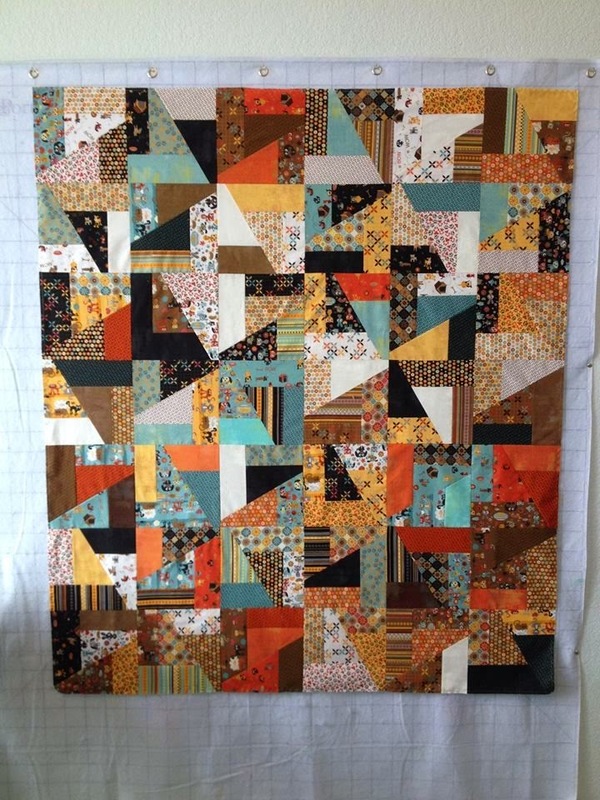 I shuffled the stack to there are five different fabrics in each block. 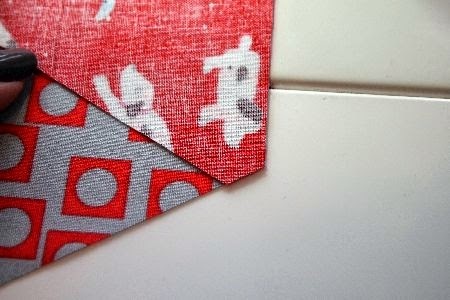 The templates with angled sides also have a cut-off "nub," which is used to line up the pieces perfectly. 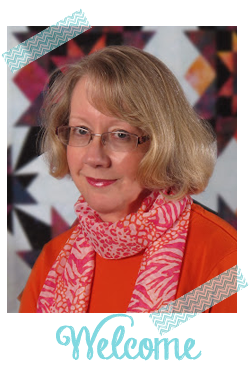 That's why I decided to use only ten different fabrics for my second scrap crazy quilt! 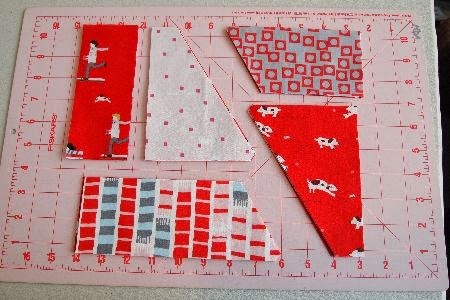 I can't wait to see how the pink and red quilt turns out! That's a cool tool. 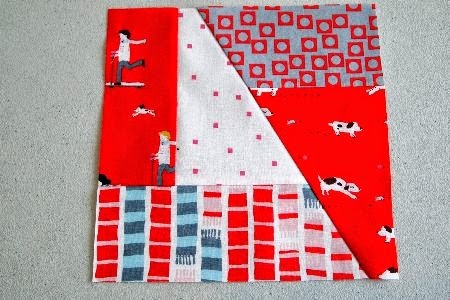 The quilt top is quite busy but I've just spent a happy 10 minutes looking at the different patterns created by the interplay of the fabrics. Far more fun than getting on with the work I should be doing. I think the effect would be so much different if the colors were similar such as all autumn colors or all teals/blues/greens. Don't have too many bigger scraps though.